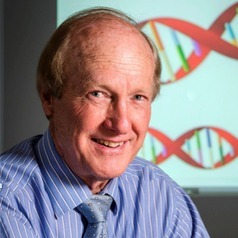 Ian Hamilton-Craig is Professor of Internal Medicine and Preventive Cardiology, Griffith University School of Medicine and Griffith Health Institute, and Senior Visiting Cardiologist, Department of Cardiology, Gold Coast University Hospital. He is academic lead in internal medicine and directs the Preventive Cardiology and Lipid Clinic, Gold Coast University Hospital, Parklands, Queensland. Ian is a member of the Cardiac Society of Australia & New Zealand Council on Genetic Cardiovascular Diseases, Australian Atherosclerosis Society Familial Hypercholesterolaemia Network, National Lipid Association of the USA, European Society of Preventive and Rehabilitation Cardiology and chairman of the Queensland Lipid Group. He is a member of the non-statin lipid advisory boards of Merck Sharp & Dohme, Abbott, and Amgen (Australia) and the scientific steering committee of the 2nd World Congress on Clinical Lipidology (Vienna, 2014). Ian is Principal Investigator, Barossa Family Heart Study (see www.barossaheart.com), site Principal Investigator, Focus on FH Study and Queensland State Coordinator, CLARIFY Registry. Books he has written include Cholesterol Control (1987), Men’s Health (1990), Bypass (1995), The State of the Heart: Cholesterol & Triglyceride Control (2007) and Unclog Your Arteries (2008). Ian has extensive clinical and research experience with statins and has published widely on their use in clinical practice. His current clinical interests include prevention of statin-associated myalgia, and statin therapy in children, the elderly, and primary care.